We have spent the last nine months traveling the world with Pat Sloan for her amazing Globetrotting Mystery BOM, and it has been a beautiful journey! 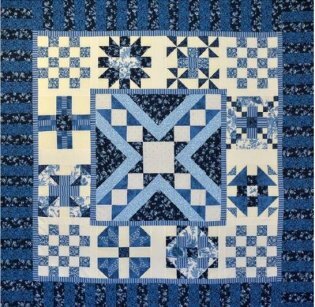 Just one more stop on this trip: it's time to tie it all together into a gorgeous quilt top, and Pat has truly outdone herself with the two different colorways! We hope you've enjoyed your journey with us, and we also hope you'll share your quilt tops. Please send your pictures to needleinahaystackretreat@gmail.com. Please click on the picture below for a printable version of the FINAL pattern. 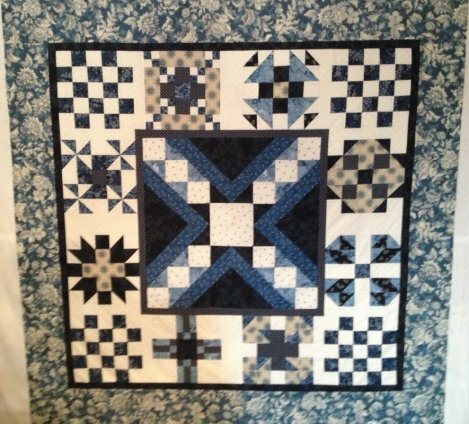 The quilt below is the quilt that I made! I decided NOT to piece my outer border. 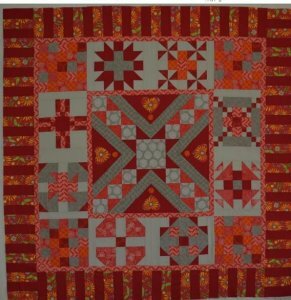 If you have purchased a fabric kit or purchased fabric from Pat's/my supply list there is enough to: use fabric 10 as the inner border and fabric 11 for your outer border. Outer border is cut at 5 1/2in.